According to Xbitlabs, TSMC would begin volume production of their 20nm chip in Q1 2014 which would be followed by their 16nm FinFET chips a year later in Q1 2015. 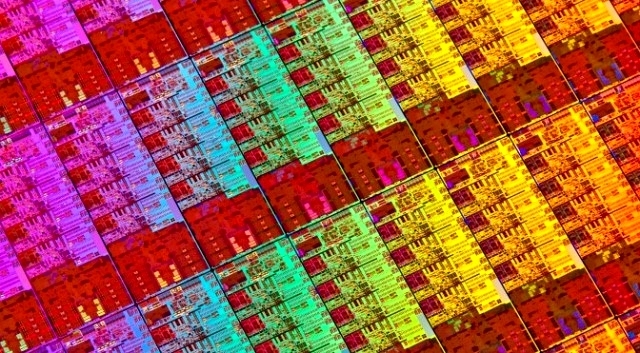 AMD had also revealed their plans to tape out thefirst 20nm (TSMC) and 14nm FinFET products in 1H of 2014. The TSMC made 20nm planar process technology is supposed to go online in February 2014 when the company commences volume production. The TSMC 14nm FinFET process technology would be available a year later in Q1 2015. “We will begin volume production of 20nms in the first quarter 2014. That’s 90 days from now. 16nm will follow 20nm in one year. We view both 20nm and 16nm as virtually one node,” said Morris Chang, chief executive officer and chairman of TSMC. “Specifically on 20nm we have received five product tape-outs and scheduled more than 30 tape-outs in this year and next year from mobile computing, CPU and PLD [programmable logic device] segments. And all those tape-outs represent big volumes. Design ecosystem on 20nm has been validated in real products and is ready to support customers. Yield learning is in line or better than the 28nm path. We expect a fast ramp of 20nm next year, with revenue from 20nm in 2014 bigger than that of 28nm in 2012. You see 20nm will be starting next year whereas 28nm actually started in the fourth quarter – third, fourth quarter of 2011. So the corresponding point for 28nm was 2012. But our ramp in 20nm in 2014 is going to be faster than the ramp for 28nm in 2012. While our 28nm ramp was a record for TSMC, 20nm ramp will be even faster by about 30%,” said Mr. Chang. The new TSMC 20nm planar process technology which is known as CLN20SOC would be used in over 30 designs which will be produced in multiple fabs. Its said that the ramp curve and revenue share of 20nm will be faster than the 28nm process and would result in faster manufacturing of the new chips without any delays as faced during the production of 28nm. The 16nm FinFET process design would end up in 25 products. The process is known as the CLN16FF and volume production would commence in Q1 2015. AMD on the other hand will rely on TSMC for their 20nm GPUs same as NVIDIA but the chip AMD would end up choosing GlobalFoundries for their low power products since they are using the 14nm FinFET process technology. TSMC assures that it will be competitive on both 20nm and 14nm process chips since no other foundries would be able to offer the same kind of volume they would by Q1 2014.